“I fished topwater all day. I caught my biggest fish around lunch time,” said Bennett. Second place was claimed by Cain Waller of Hartwell, Ga with 5-fish that went to scales for 21.75-lbs. “I was just throwing a spinner bait in the grass all day and it worked,” said Waller. Coming in third place was Randy “Jar” Hillyer of Summerville, SC with a 5-fish limit that locked in the scales at 18.48-lbs. He anchored his catch with a beautiful 5.40-lb largemouth. “I fished a Carolina rig, a whopper plopper and a green trick worm. I caught my big one on the whopper plopper around 11:30,” said Hillyer. 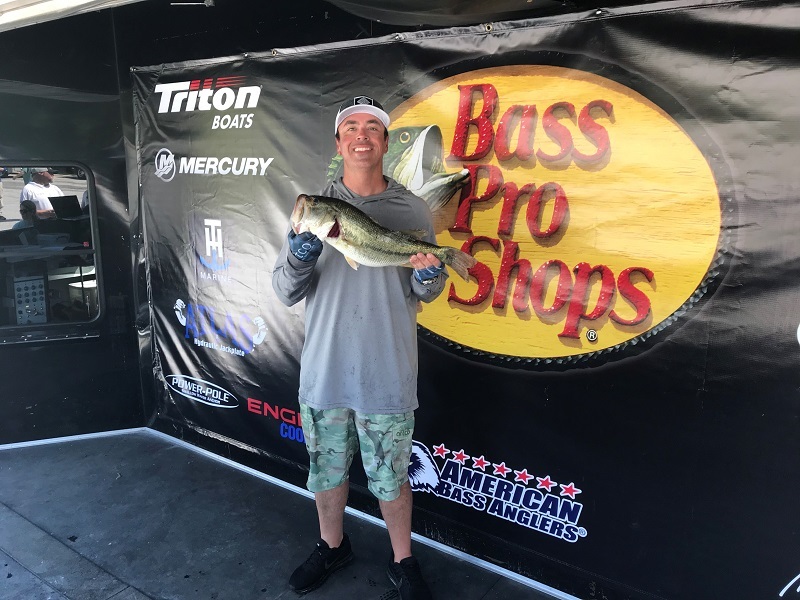 David Rush of Summerville, Sc caught the biggest bass for the boaters. His big fish locked in the scales at 5.84-lbs and it was good enough to earn him $580. 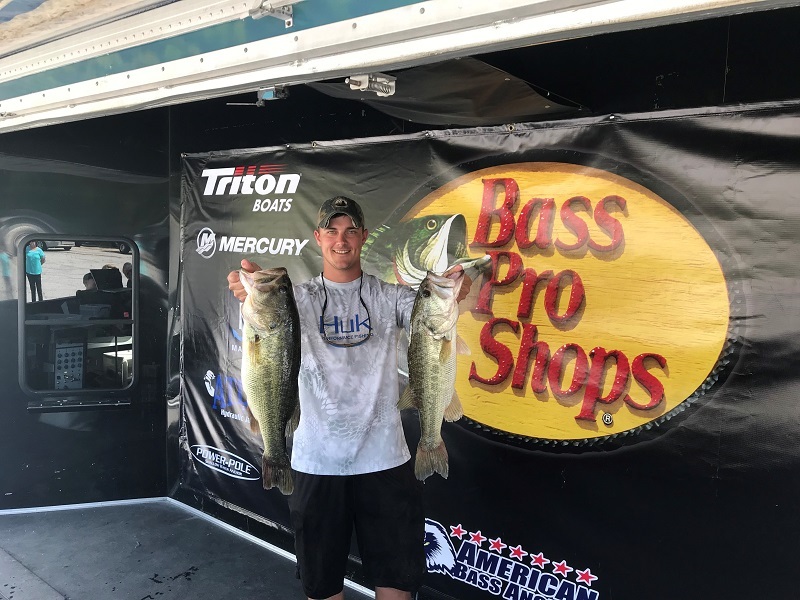 In the Co-Angler Division, Brandon T Pent of Sumter, SC won with 3-bass going 12.62-lbs that included a 6.21-lb big bass. 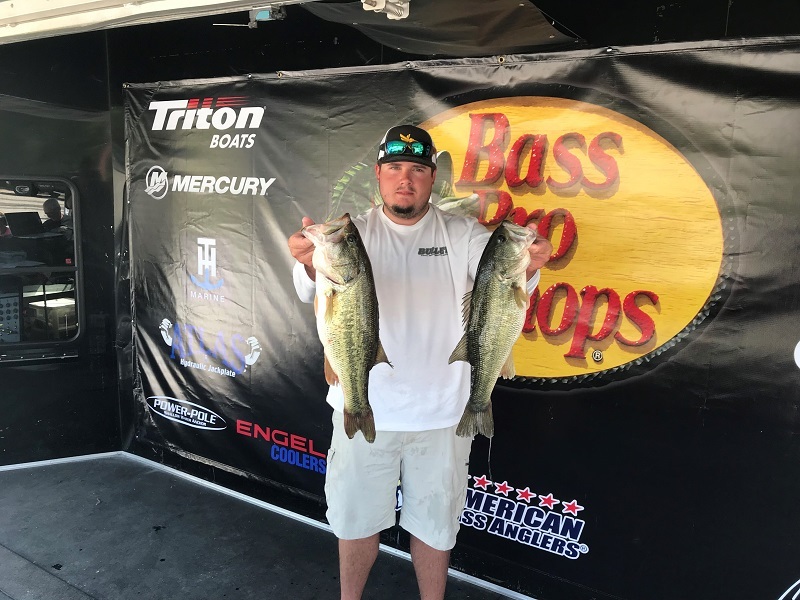 He pocketed a check for $950 for his win and an additional $145 for the big bass. “I was throwing a shakey head, just dragging it around,” said Pent. Second amongst the Co-Anglers was Barker Plake of Hodges, SC with 3-fish that locked in the scales at 10.15-lbs. “I was throwing a shakey head in the dirt,” said Plake. Third place for the Co-Anglers was Damon Phillips of Anderson, SC with 3-fish that went to the scales for 9.05-lbs. “I was fishing down the lake. I threw a little bit of everything, hard and soft plastics, plastic worm, and crank baits,” said Phillips. Fourth place was claimed by Jackie Belt of Fountain Inn, SC with 3-fish and a weight of 8.91-lbs. Rounding out the top 5 was Wes Harrell of Evans, Ga with 3-fish and a weight of 8.34-lbs. Slated for June 22nd the final one day event for the South Carolina division will be on Lake Russel, launching form the HWY 72 ramp.